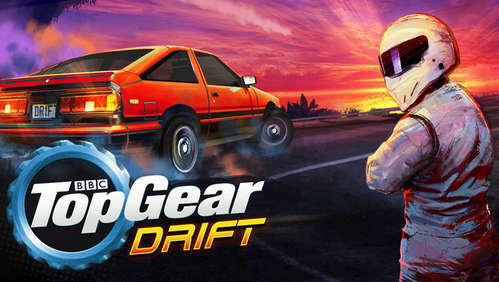 It's time for some classic drifting in Top Gear's officially licensed top-down racing game, Drift Legends! Have you got what it takes to become a legend?! - Starring The Stig, "the Test Track", and iconic cars from the show. Formula Slide USA, UK Full Lock Series, Japan Super Dori, Australian Outback D Champs, and New Zealand Drift Series. - Unlock cars, each with their own authentic oversteer physics, power, and counter-steer feel. - Challenge your ghost car in the pursuit of sideways perfection. Two new cars - Can you score big with the powerful and indestructible pickup? 10 new challenging tracks - Do you have what it takes to drift through Europe in winter? Or perhaps you're ready to take on Japan... at night! New leaderboards - Think you're a drift legend? Now you can find out if you're better than your friends or the entire world! Install Apk, Copy ‘com.rushdigital.topGearDriftLegends’ folder to sdcard/Android/obb, and Launch the Game.